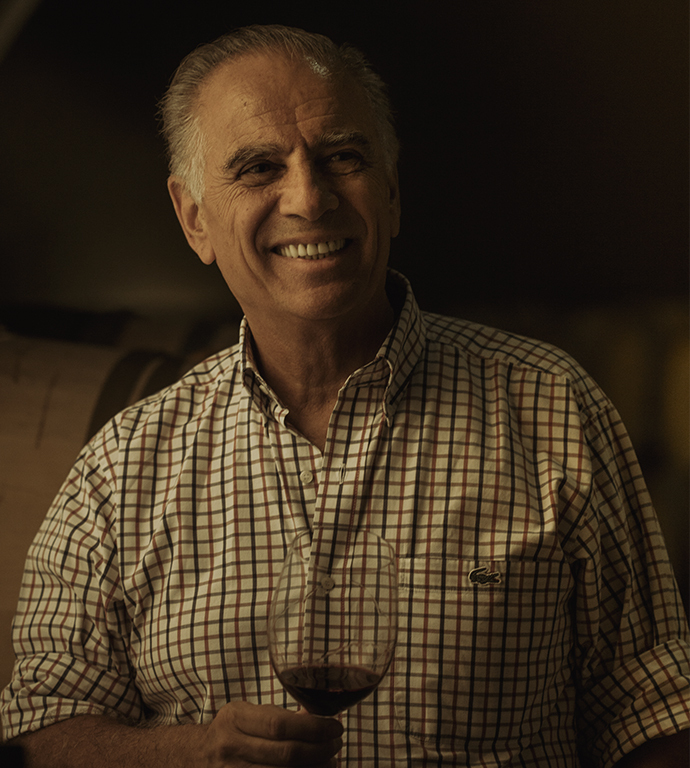 Located over natural terraces and built in the hills, our winery presents a staggered design that uses a gravity system to produce fine wines of the utmost quality. 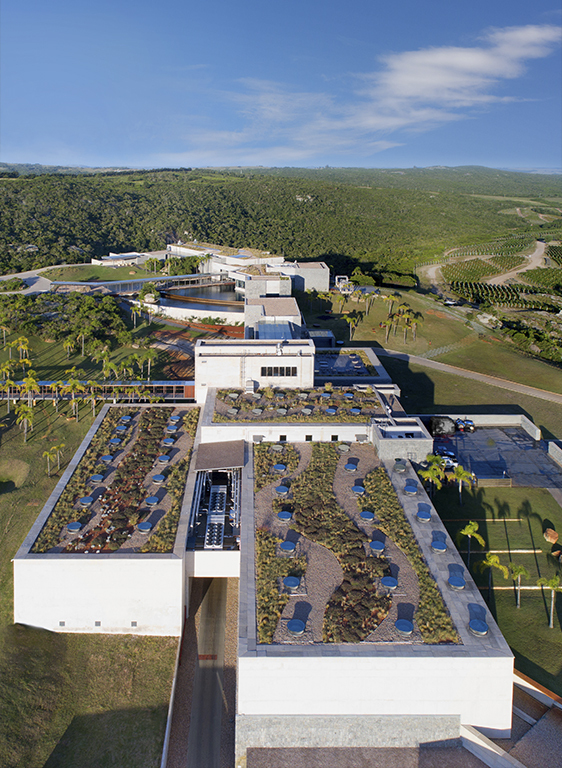 Our efficient facilities maximize the use of energy resources while generating wind and photovoltaic energy. 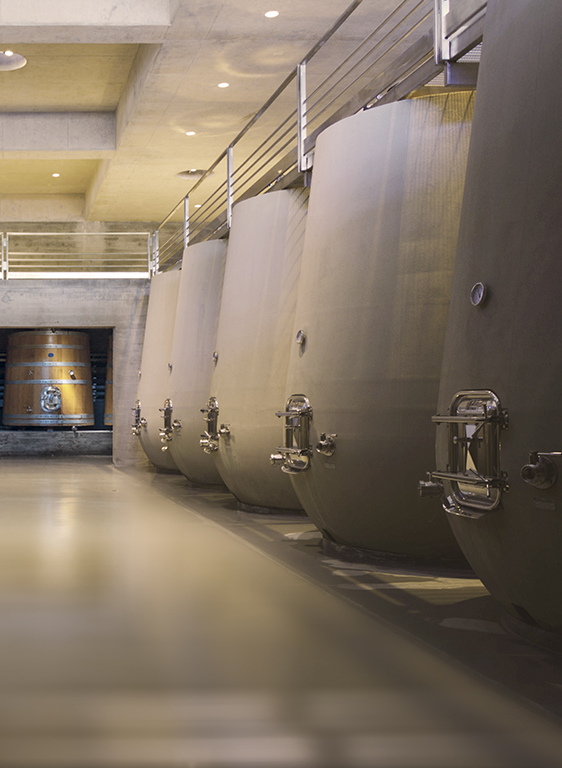 We have three fermentation and one aging areas with stainless steel containers, epoxy-free concrete tanks and oak truncated cone-shaped vats that allow our wines to fully express the character of our terroir. 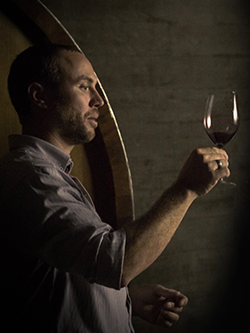 The 19,050 m² building has a capacity of 2.2 million liters and will be the first sustainable, LEED certified (Leadership in Energy & Environmental Design) winery outside North America, following the strict requirements set by the United States Green Building Council. 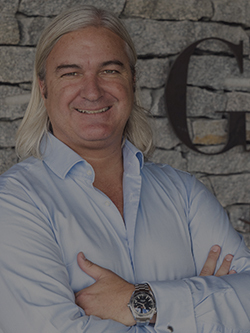 Regardless of use or functionality, the certification will cover the entirety of the facilities, an unprecedented event in the world. 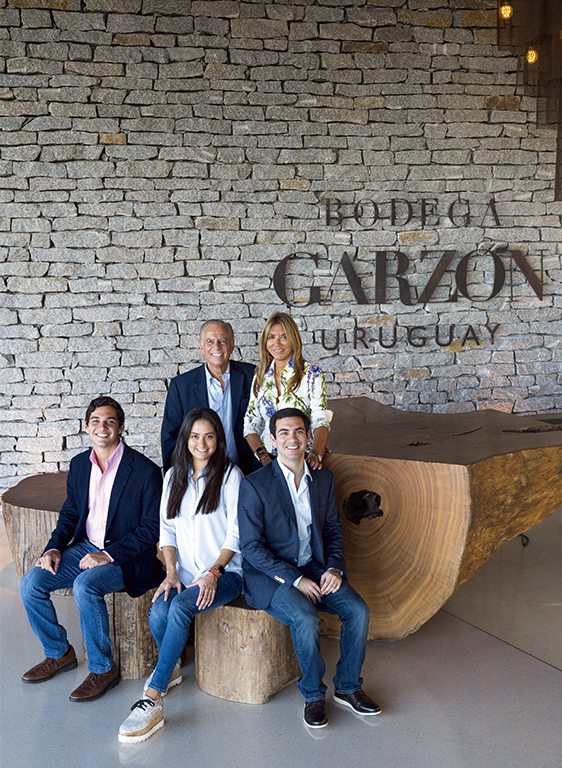 When Alejandro Bulgheroni and his wife Bettina discovered Garzón, they had a family dream came true: to have the most emblematic winery of modern viticulture in Uruguay and premium wines with an intense personality and a deep sense of belonging to the land. 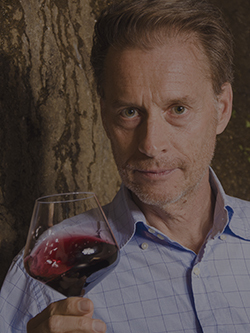 With the advice of international enologist Alberto Antonini, they apply their philosophy focused on producing wines that are a true expression of their origins. 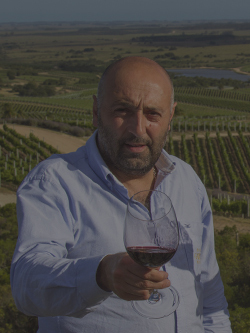 Experts on viticulture, environmental care, gastronomy, hospitality and tourism complete a team committed to this unprecedented project. I give my consent to receive electronic communications on activities, promotions and related products.